Before any building can be created, suitable space has to be secured. This first lesson is one of intention. The intention of opening our mind’s eye and seeking the perfect space to create a Temple of the Wise. One of the greatest tools we have is our ability to manifest from what we conceive as thought patterns and imagery. 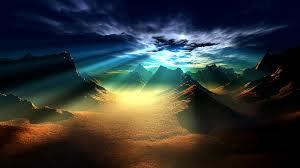 Visualization is a skill that is a foundational practice of spiritual and magickal work. The more clearly the image can be projected onto our “inner screen” of consciousness the greater the potential for bringing it into the manifest world. This is precisely why it is important to “mindful” of which direction we take when formulating the image of what we desire. Negativity will create an environment and image that projects this negativity, just as positive and productive intent supports the manifests image of that productive flow. As we take these first steps in finding the best and most fertile space to create our temple of the Wise, we need to construct its image in the space of our consciousness. As our Temple expands in its creation and becomes the working space, library and sacred sanctuary that houses our path of learning, all that it contains will flow into our manifest life. Our work and interactions in the mundane and manifest world will be informed by the image of our knowledge. Our actions will be supported by the image of the wisdom we have drawn from its Halls. And, our daily lives will be infused with the greater gnosis of an image that is available to be used 24/7-365 days a year. A life of Magick born in the Halls of the Temple of the Wise. Shift your attention to the space between your brows and the inner screen of your meditative conscious mind. Sit as observer of this screen, taking note of the form of this inner landscape. Now see yourself standing and walking towards this inner screen. A pin- point of cobalt blue light forms just ahead of you and begins expanding in diameter as you walk towards it. When you arrive at the place of being immediately in front of this vibrant blue veil, it has expanded, stretched and opened to become an arched gateway. The faint glimmer of sparkling blue shines within its opening and you feel called to step into this place. 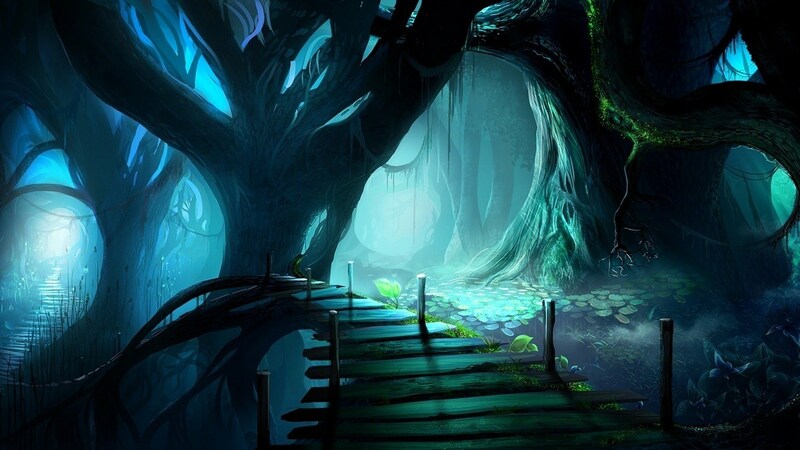 You step through the veiling and find yourself standing in the center of a shaded forest. You close your eyes and breathe in deeply adjusting easily to what surrounds you and finding your anchoring within this space. You take another very deep breath and open your eyes on the soft exhalation and look around. Tall full trees surround you and you can see rays of light flowing delicately through lush full leaves and thick branches. You look at each tree and now see there are multiple paths between them, each leading into different directions. You stand for a moment unsure of whether you are to move forward on one of these paths. As this thought clears you instinctively know that you are able to travel each of these paths without moving from this spot. You also know that each path represents another point of the teachings received in your spiritual journey and holds the memory of those lessons learned from its exploration. You breathe in deeply and turn towards one of the paths. You close your eyes and move your awareness along this first path. As you move easily within the folds of its twists and turns you remember the excitement of mastering one of your first lessons of magick and mystery. Take some time now to call that experience to you. Call up the emotions surrounding its teachings and the pride you had in exploring this subject more fully. Call to memory the first trials of application and the successes and failures in its mastery and understanding. See the form of this lesson, its name and the importance you wish it to have now in your new journeys. Now, pull your consciousness back to your present location and turn towards another of these paths. Again, close your eyes and move your consciousness down this next path of experience. This path has a different set of turns within it. This is what holds it apart from the first that you just experienced and it is this differing quality that gave another set of skills to your journey. Call to memory the first trials of its application and the successes and failures in its mastery and understanding. See the form of this lesson, its name and the importance you wish it to have now in your new journeys. Continue with this process for the remaining paths that surround you. Each a unique experience; each holding the keys to who you have come to be in your journey. Spend time on each path, calling into your space of memory the experiences held within your past exploration. And, with each see the form of its refined lesson, its name and the importance you wish it to have now in your new journeys. When all paths have been travelled and memories retrieved, you return from the last path and look around at all that leads into this space where you have remained since entering this space. You also acknowledge the skill you have shown in projecting your consciousness into the storehouse of memory and teachings as you held strong ground in your chosen spot. As you breathe more deeply into this realization and look around you realize that this is the perfect place to build your Temple! This is the central place of return and all paths that have the cumulative memory of your learning up to this point meet in this very spot. All have come to inform and support your work, and from their creative motivation, your Temple will be strong and stable. You feel excited and in your heart know that you have made a good choice in your selection. There is much work that will need to be done to prepare and expand your space of acquisition and it will be done with joy honoring all that has lead to this time and this space. This last thought echoes through all levels of your being and you breathe into its energy confident and self-empowered. You offer up thanks for what has been gifted and as the last of these words moves across your lips, the forest and its paths gently fade forming a veiling once again of the blue energy. You breathe deeply, stepping through this veiling and find yourself once again as observer of your inner screen of visioning. The forest has faded, but the memory of the experience and the gift of fertile land floods through you. Offer up thanks for the wisdom of this journey and breathe into the intent of moving back into your physical state and physical room of beginning. Each breath draws you back into your body and the gentle rise and fall of your chest. And, when you are ready, gently flutter your eyes open and be present in the here and now. Blessed Be! 1 Response to Acquiring the Space! 10/19/2015 @ 8:42 pm — I will be having my wife send me on the Pathworking tonight.